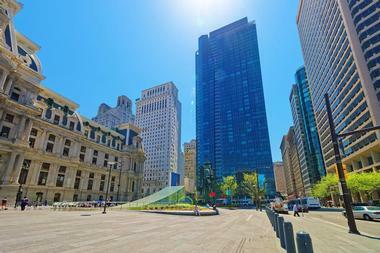 Philadelphia, Pennsylvania is a popular tourist destination especially during the summer when many schools have breaks. 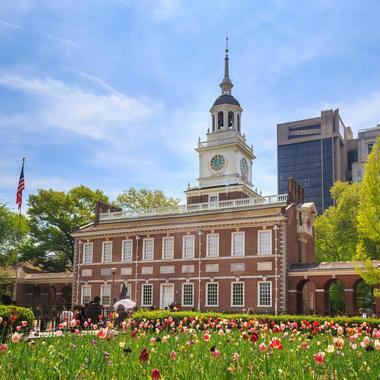 During the summer, the important attractions like Independence Hall and the Liberty Bell can be very crowded, so expect to wait in lines. 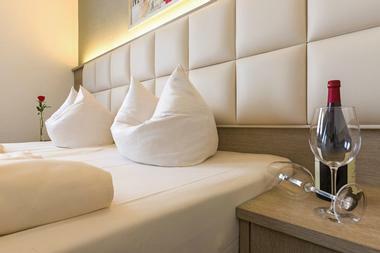 It can also be hot and humid in the summer and the hotels raise their room rates. Although the hotel room rates are the least expensive in the winter and fall, this can be a very cold time to visit the city. The best time to visit Philadelphia, PA is during the spring months between March and May. The weather is pleasant, there are fewer people, and room rates are reasonable. January is the coldest month in Philadelphia by far with an average high temperature of 40°F (5°C) and an average low temperature of 26°F (-4°C). Snowfall averages at 7 inches (18 cm) making winter activities like sledding and ice skating ideal during this time. In February, Philadelphia experiences its second coldest month in the year. The average high and average low temperatures range between 44°F (7°C) and 28°F (-2°C). February also receives the largest amount of snowfall out of the year with a 9 inch (23 cm) average. Despite the snowfall, February has the lowest precipitation rate with an average that’s just a little over 2 inches (67 mm). Philadelphia Weather in March: The temperatures in March start to climb as spring arrives in the city. An average high temperature of 53°F (12°C) can be expect while the average low temperature sits at 34°F (1°C). April continues the upward trend in temperature with the average high temperature hits 64°F (18°C) and the average low temperature peaks at 44°F (7°C). The last and least of the year’s snowfall takes place in April with an average of 1 inch (3 cm). In May, the average temperature rises further for the last month of spring. Visitors can expect and average high temperature of 74°F (23°C), while the average low temperature is at 54°F (12°C). Philadelphia Weather in June: Summer arrives in June and brings with it an average high temperature of 83°F (28°C). The average low temperature makes a ten degree jump to 64°F (18°C). July gets quite hot as the warmest month of the year and has the highest precipitation rate in the year as well at 4 inches (110 mm). The average high temperature climbs to an annual high of 87°F (31°C). The same can be said for the average low temperature which hits 69°F (21°C). In August, things start to cool off ever so slightly with the year’s second warmest month bringing average high temperatures of 85°F (30°C). Average low temperatures drop by one degree this month. Philadelphia Weather in September: With the arrival of fall in September, the average high temperature drops back below the 80’s resting at 78°F (26°C). Meanwhile, the average low temperature decreases to 60°F (16°C). October brings even cooler temperatures as the leaves begin to turn red and brown. Average high temperatures to be expected are 67°F (19°C) and average low temps drop to 48°F (9°C). In November, the temperature makes another considerable drop to an average high temperature of 56°F (13°C) and average low temperature of 39°F (4°C). Philadelphia Weather in December: Winter arrives in December and so does the first of the season’s snowfall. The average low temperature sinks to 30°F (-1°C) to match the average snowfall of 3 inches (8 cm). Average high temperature to be expected is 45°F (7°C). To avoid the droves of crowds in Pennsylvania, the best time to visit is March through May when the temperatures is still a bit brisk and the hotel rates are reasonable. During these spring months, flower festivals and parades take place making for great holiday activities. The cheapest month to tour the state of Pennsylvania is between September to February when the temperatures start to go down. If you’re a fan of cold weather, this is also a great time to take advantage of cheap room rates. For the best of Pennsylvania’s fall foliage, hiking and camping, come by between late September through October. Many people choose to arrive in Philadelphia by airplane. The Philadelphia International Airport is just seven miles from downtown Philadelphia and is served by many domestic and international airlines. Amtrak runs trains along the Northeast Corridor from Boston to Washington, D.C. via Philadelphia’s 30th Street Station. Southeastern Pennsylvania Transportation Authority (SEPTA) connects Philadelphia with the New Jersey Transit system with trains to New York. Philadelphia is linked to many major cities along the east coast by Interstate 95. The bus is an affordable way to get to Philadelphia. There are three bus companies that serve Philadelphia: they are Greyhound, Megabus, and Boltbus. To get from the Philadelphia International Airport into downtown Philadelphia, visitors have several choices. There are several car rental agencies at the airport and information phones in the baggage claim areas. There are three routes that drivers can use to get into the city: I-95, I-76, and Route 291. SEPTA is a convenient way to get into the city. It provides trains that stop at each of the airport’s terminals and takes passengers to the main train station on 30th Street. At the airport there are a variety of shared ride shuttles, limousine companies, and taxi companies. Taxis will accept credit cards. The Independence Visitor Center on North Independence Mall is the best place for visitors to pick up information about Philadelphia. This information center is located in the historic heart of the city and is steps away from the Liberty Bell, the National Constitution Center, and Independence Hall. There is a concierge kiosk at the information center and staff members can answer questions about what to see and do, where to eat, where to shop, where to stay, and the best ways to get around the city. The center offers city and regional maps, events calendars, package tour information, and discount hotel room prices. 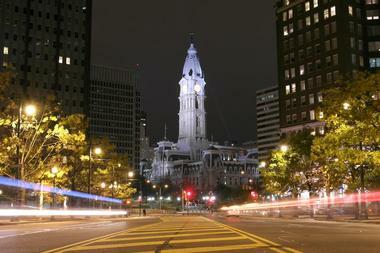 Philadelphia offers many ways to get around the city in addition to its extensive public transportation system. 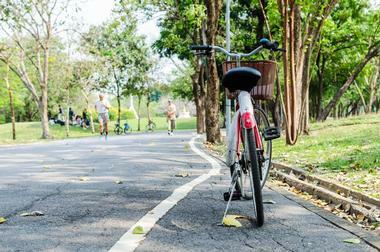 It is a bike friendly city with 1,000 bikes that can be rented at more than 100 stations around the city. There are also dedicated bike lanes on city streets and hundreds of miles of biking trails. Seeing the city by car is an option, but because it is a popular city, parking can be expensive and there are many one way streets. 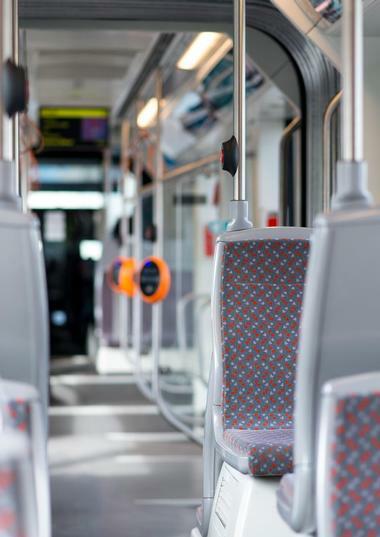 There are several other ways to get around the city: these include using a Segway; riding on the Philadelphia Trolley Works, or riding on the Delaware river using the RiverLink Ferry or Ride the Ducks tours. 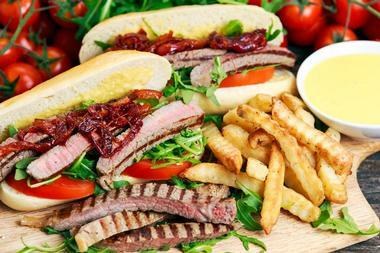 Many people think of cheesesteak when they think about Philadelphia food. But the city offers a wide range of dining choices to please everyone’s palate and pocketbook. There are fine dining restaurants where your gourmet meal is prepared by a celebrity chef; there are casual mom-and-pop Italian restaurants complete with red and white checkered table cloths; restaurants that serve breakfast all day; and family-friendly restaurants. Many restaurants pride themselves on using only the freshest ingredients many of which are grown locally. There are many restaurants that serve ethnic cuisine including Asian, French, Italian, Latin, Mediterranean, Southern and Soul Food, Tapas Restaurants, as well as vegetarian restaurants. There are many excellent places to shop in Philadelphia and it’s a city in which you can find just about anything you want to buy. Shopping in Philadelphia is world-class and clothing and shoes are tax-free. Rittenhouse Row is located in the Rittenhouse neighborhood of Philadelphia. Here there are fine dining restaurants, one-of-a-kind boutiques, shops selling designer clothes, and jewelry shops. For a completely different experience, try the King of Prussia Mall with its 400 shops, boutiques, restaurants, and world-class department stores. The Italian Market in South Philadelphia offers visitors a unique shopping experience. In addition to the original Italian vendors, now there are other choices like Mexican and Asian vendors. 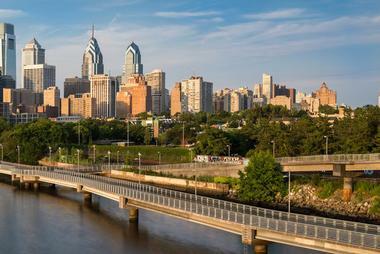 Philadelphia is a mixture of various neighborhoods each with their own distinctive character. Center City is Philadelphia’s downtown. Within this there are several neighborhoods such as Old City, Rittenhouse Square, Society Hill, and Washington West. Old City lies north of Independence National Historical Park and is a blend of 18th century houses, 19th century warehouses, and 20th century structures. Rittenhouse Square is a landscaped park surrounded by elegant 1930s condominiums. Society Hill is just south of the Independence National Historical Park and is known for its 18th century houses. 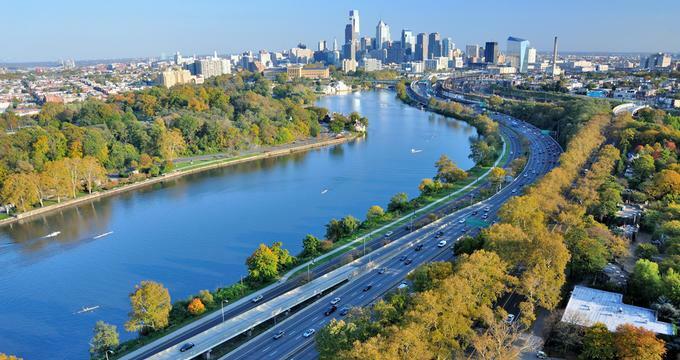 Other Philadelphia neighborhoods include Bella Vista, Chestnut Hill, Chinatown, Fairmount, Germantown, Manayunk, Mount Airy, Northern Liberties, and several more. The historic city of Philadelphia includes many special wedding venues making it a popular place to get married. A marriage license can be obtained at the Register of Wills in City Hall at Broad and Market Streets. Some of the hotels that are good venues for weddings include the Sofitel Philadelphia, the Hotel Monaco Philadelphia, and the Doubletree by Hilton Philadelphia Center City. For those interested in a wedding on the water, the Spirit of Philadelphia can accommodate up to 300 guests. 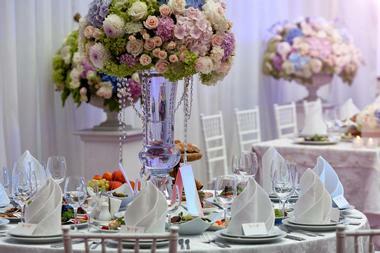 Other unique choices for Philadelphia wedding venues include the American Swedish Historical Museum, the Regal Ballroom, the Racquet Club of Philadelphia, and the Germantown Cricket Club. 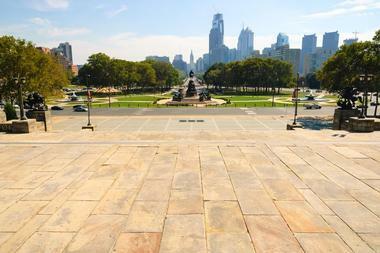 Philadelphia offers a wide range of accommodations from which visitors can choose. There are five star luxury properties such as the Rittenhouse Hotel, the Ritz-Carlton Philadelphia, the Hotel Palomar Philadelphia, and the Hotel Monaco Philadelphia. There are many boutique hotels in Philadelphia: some of these are renovated historic houses and are quite charming. If you are interested in art museums, there are hotels along the Benjamin Franklin Parkway: here you’ll find the Philadelphia Museum of Art, the Rodin Museum, and more. One of the most special places to stay is in one of the hotels in the Philadelphia Historic District. 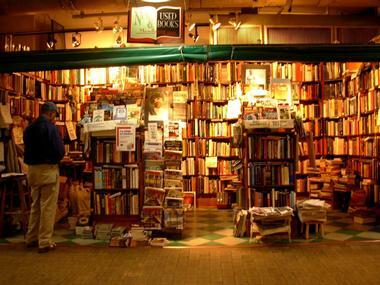 In addition to the many historic attractions, there are many restaurants, galleries, shops, and much more.